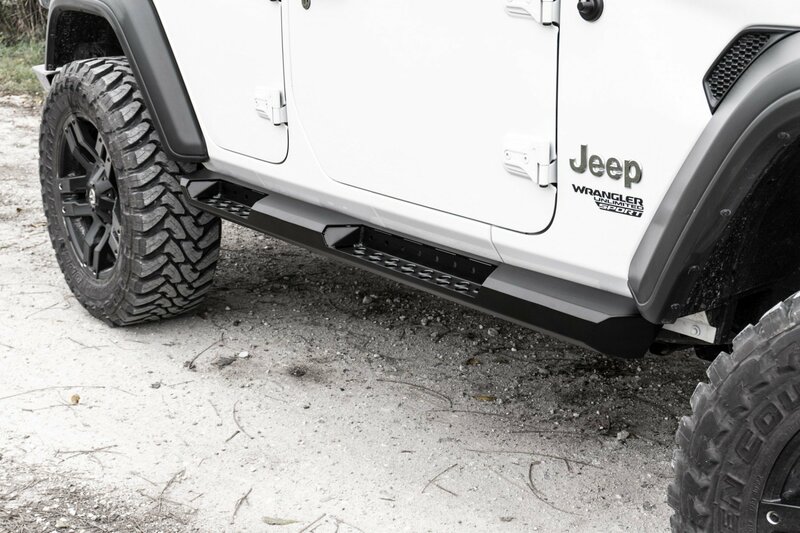 When looking for rocker protection for your Wrangler JL why not get the best of both world's. 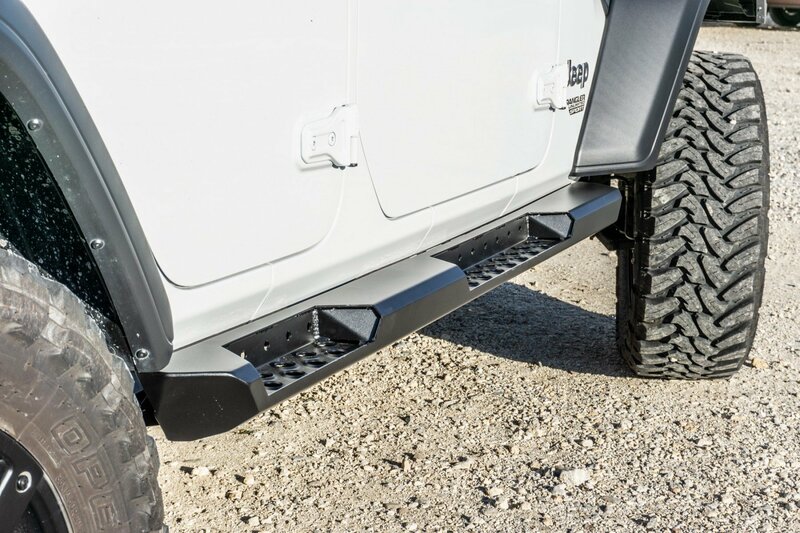 LoD's Destroyer Series Rock Sliders function not only as a rocker guard but they also have a beefy 4" footing area that functions as a side step too. Made from high quality steel these sliders are an easy bolt on installation and come in either Black or Bare Steel. 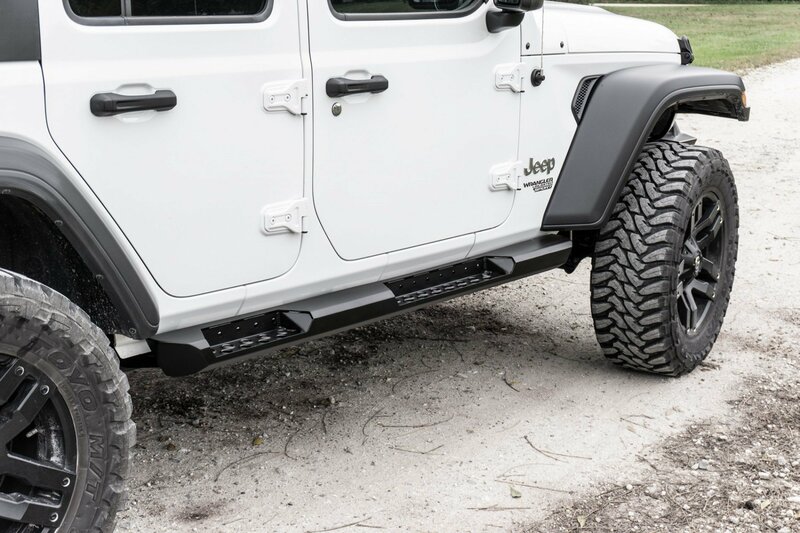 Design: Made with the off-road enthusiasts in mind, these sliders help protect your rocker panels while on the trails and help you to not get hung up on rock when crawling over them. 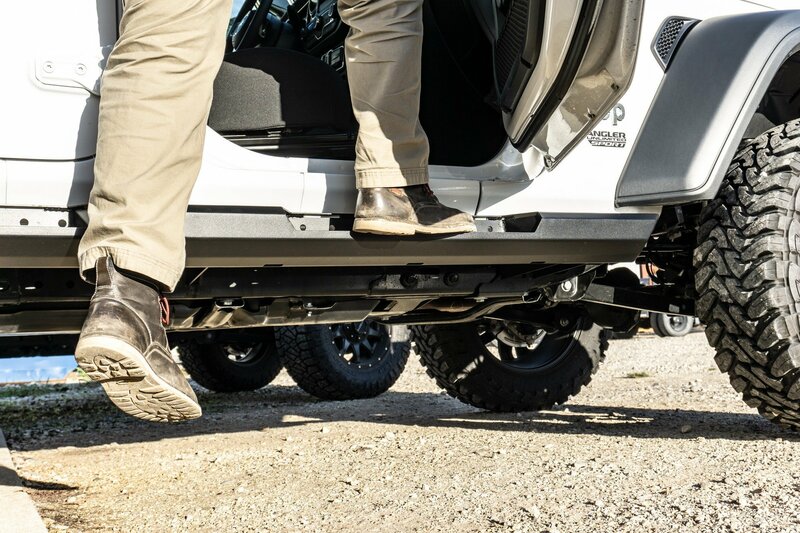 A large footing area that has a traction pad to prevent slipping no matter how muddy your shoes are when getting in and out of your Wrangler JL. Construction: Made from durable steel giving you peace of mind that your Jeep will be protected no matter what you come across on the trails. Installation: This is a simple bolt on installation using your factory mounting hole so you will not have to make any modifications to your vehicle.